Ko Phi Phi Don is where all of Phi Phi's hotels are found and it is also the center of the islands with banks and facilities.The main center on Phi Phi Don is also referred to as Tonsai Village. These are principal locations in Ko Phi Phi where you can find hotels which vary greatly in styles. 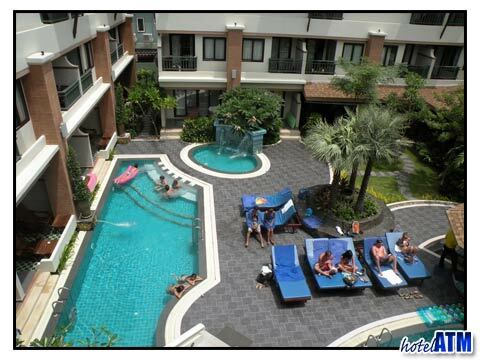 Phi Phi Don Village boasts most of the 2-2.5 star accommodation but with 4 notable exceptions of Phi Phi Island Cabana Hotel, PP Palmtree Resort, Arayaburi Resort and Phi Phi Hotel which offer facilities and rooms of quality. The village is dominated by small family run resorts with varying room types per resort and guesthouses which offer mixed level of room finish. It is worth reading the detail carefully on phi-phi.com about the accommodation here to get the hotel that fits your style. Long Beach has three major resorts which you can choose from, Phak Nam has one resort and the Phi Phi Don Village has a the rest. One of the locations I like best on Ko Phi Phi is Laem Tong. This area offers some of the most exclusive and luxurious ko Phi Phi accommodations. Here you can find the hotels Zeavola Resort, PP Erawan Palms Resort and Phi Phi Natural Resort, and Holiday Inn Phi Phi Island magnificent places which I found quite in tune with the surroundings. You don't have all the huge landscapes of Phi hi Ley in front of you but with 200 meter walks you can see some truly spectacular scenery. These are the Ko Phi Phi hotels that have access to the sunset. Another major area is the Loh Bagao which has the Phi Phi Island Village Resort, The Phi Phi Island Village Villa and Phi Phi Lagoon resort. The Island Village offers high end accommodation in a large and spacious resort environment and the Phi Phi Lagoon offers simple accommodation in the star range. The hotels and resorts mentioned above are the pride of the islands. With fine service and high quality rooms and amenities, they will surely make your stay in the islands an unforgettable experience. 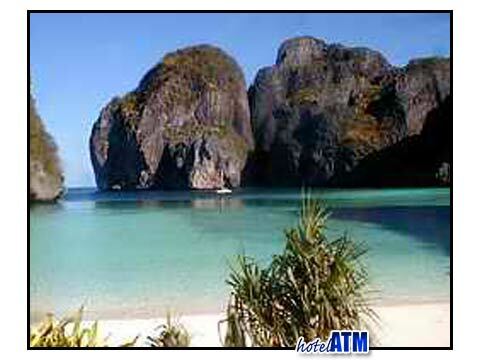 The Ko Phi Phi hotels offer some good savings click here. Most Ko Phi Phi hotels have their own swimming pools even if they are located in the beachfront and to see these	click here. Ko Phi Phi hotels tend to blend in with the surroundings with its natural design and local architecture. During my last stay in the Phi Phi islands, I settled for a hut near the beach front on Pak Naam. It was really an experience where I got to be one with the sea. The wind from the north east was amazing and the waves really had a soothing and calming effect on me. Choosing your Ko Phi Phi hotels often defines your Phi Phi experience as the scenery and activities are world class. Once you get the right place for you amazing Phi Phi woes you every time. There are two main islands of Phi Phi. One is known as Ko Phi Phi Don and the other is Phi Phi Ley. Phi Phi Ley, is a magnificent limestone cliff uninhabited island which you can swim and explore.